Beautiful mandala designs for inner calm and inspiration! An ancient form of meditative art, mandalas are known for their restorative power as well as their ability to provide tranquility and a sense of self. 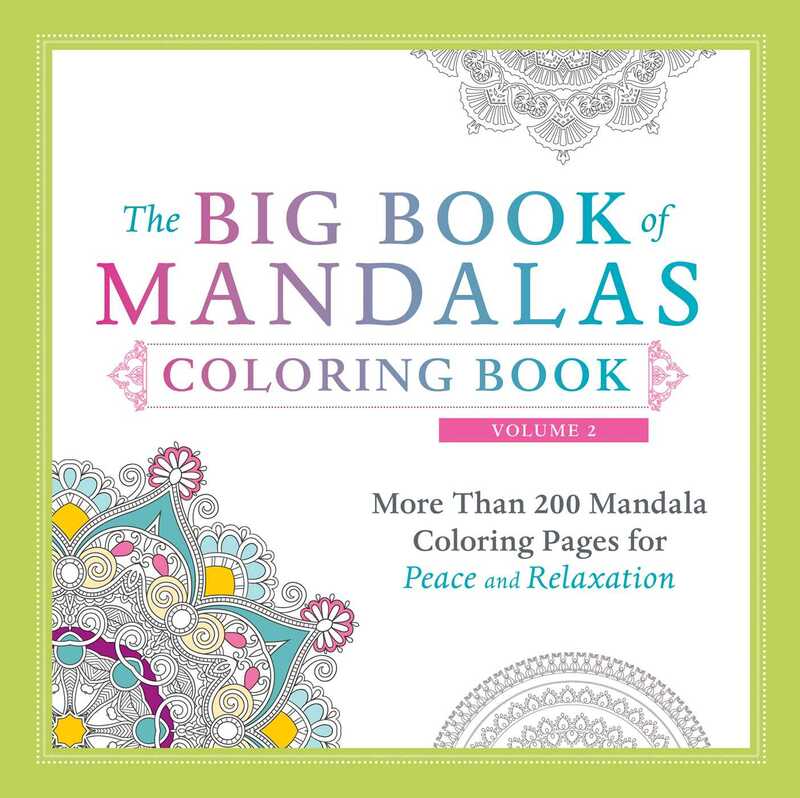 Filled with hundreds of customizable mandala illustrations, The Big Book of Mandalas Coloring Book, Volume 2 encourages you to express yourself by using your own unique palette to fill in every pattern. As you focus on coloring in these beautiful mandalas, you will relax your mind and free yourself from the obstacles that keep you from achieving inner peace. Complete with all-new mandala coloring pages, this hands-on guide will help you find the serenity, comfort, or inspiration you've been seeking.